The Supreme Court of Canada has ruled unanimously that provinces and territories have the constitutional right to restrict the importation of goods from each other, as long as the primary aim of the restriction isn't to impede trade. The Supreme Court of Canada has ruled unanimously that provinces and territories have the constitutional right to restrict the importation of goods across provincial and territorial borders — as long as the primary aim of the restriction is not to impede trade. Thursday's ruling will dash the hopes of many Canadians who were hoping to have easier access to cheaper and sought-after products in neighbouring provinces, particularly alcohol and tobacco. 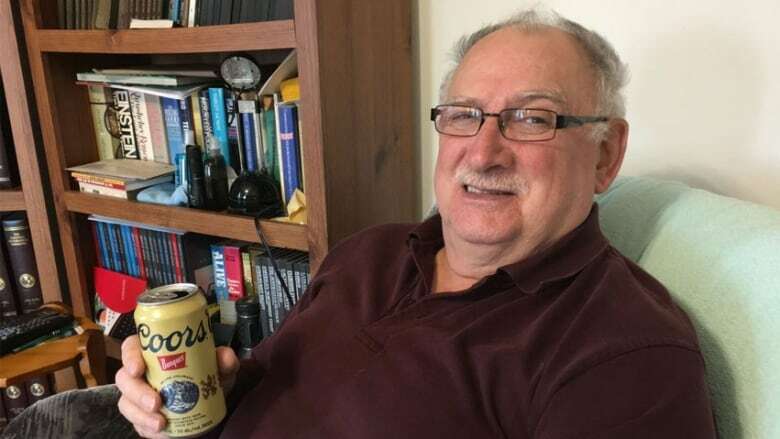 Gerard Comeau, the retired New Brunswick man who initiated what came to be known as the 'free-the-beer' case, drives two or three times a year from his home in Tracadie — about 160 kilometres north of Moncton — to Quebec, where it's cheaper to buy beer and liquor. "It doesn't make sense... because you can go in Quebec or any province and you can buy any quantity of merchandise, clothes, food anything, except for beer," Comeau said following Thursday's decision. "I'm sure I won't be buying as much beer as I used to. I might take a couple of cases," he said. The lawyer who argued Comeau's case at the Supreme Court, Ian Blue, said he and his client were disappointed with the ruling, calling the decision to maintain the status quo "very political." Blue said the court took into account the potential ramifications of opening interprovincial sales for agricultural supply management and provincial environmental controls. He pointed to other cases where the Supreme Court made decisions that made major changes to the status quo but gave those affected time to figure it out. Speaking in London, England, where he is attending the Commonwealth leaders meeting, Prime Minister Justin Trudeau said he plans to continue working to improve interprovincial trade in Canada. "We will of course abide by and respect the Supreme Court's decision but we will take the time to properly study the decision and work on the ramifications of it," Trudeau said. The prime minister said that he was happy to have struck a deal that improved trade between Canadian provinces last year, but understands there is more work to be done. "We know there will continue to be issues that will require further discussion with the provinces, but this is something we've made significant progress on and we will continue to." "[The court is] maintaining the status quo and are not prepared to go forward a little bit. I'm disappointed in them." Canadian wineries are also disappointed. They had been looking for support for their lobby to allow direct-to-consumer wine sales across the country. Just three provinces (B.C., Manitoba and Nova Scotia) allow it now. "We are the only wine-producing country in the world that doesn't allow this benefit to their producers. Nine out of 10 Canadians have stated that they would like to be able to order wine from an out-of-province winery and have it delivered to them," said Dan Paszkowski, president of the Canadian Vintners Association, after the release of the court's decision. But Rob Cunningham, senior policy analyst and lawyer with the Canadian Cancer Society, called it a "very positive" ruling. He watched the case closely because the society was worried about what it might mean for provincial controls on tobacco and cannabis. "Had this judgment gone the other way, it would have opened the gates, the floodgates to widespread interprovincial smuggling of cigarettes, and we already have enough of a problem there, of alcohol, of cannabis," Cunningham said. "So, from a public health point of view, this judgment is very positive." Provincial governments are also breathing a sigh of relief, since the ruling potentially supports their efforts to control the movement of cannabis after it becomes legal for recreational use. In 2012, Comeau was stopped at the New Brunswick-Quebec border by the RCMP and fined $292.50 for having 14 cases of beer, two bottles of whisky and one bottle of liqueur in his vehicle. His alcohol was confiscated. 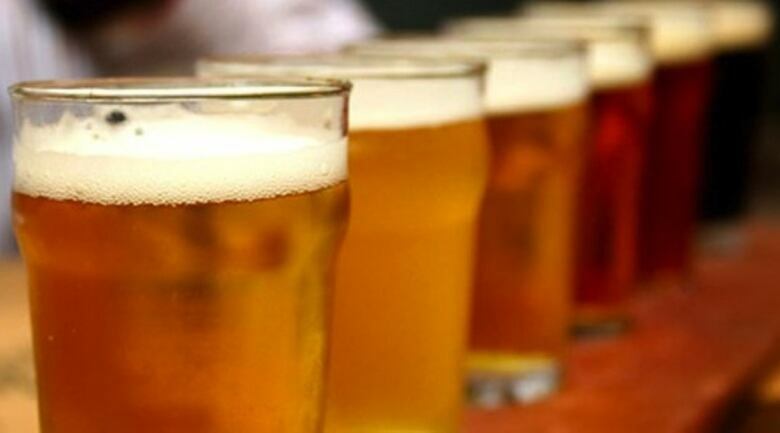 Most provinces limit how much alcohol people can bring across provincial borders. Comeau's defence centred on section 121 of the Constitution Act, which states products from any province "shall … be admitted free into each of the other provinces." A 1921 Supreme Court decision interpreted that to mean the products only had to be free from tariffs, not from other barriers such as limits on quantity. Comeau and others argued that that decision offered too narrow an interpretation, and that it led to the proliferation of interprovincial trade barriers. But the Supreme Court disagreed Thursday, ruling that section 121 does not impose absolute free trade across Canada. The court said that section 121 prohibits laws restricting interprovincial trade — but only when restricting trade is the laws' main purpose. The court found that the primary purpose of New Brunswick's law was "to prohibit holding excessive quantities of liquor from supplies not managed by the province." The court also was concerned with the potentially far-reaching implications of taking away any province's power to control what comes across its borders. The court said it would undermine Canadian federalism and throw into jeopardy agricultural supply management schemes, public health-driven prohibitions and environmental controls. The decision might be carefully read by those interested in the current Kinder Morgan Trans Mountain pipeline expansion debate, as the case is about the movement of goods between provinces. But it's not clear whether the ruling — when it touches on concerns about what a broad interpretation of section 121 could do to a province's environmental controls — supports British Columbia's argument that it has a right to protect its coast from the pipeline. The court also says that s. 121 may, or may not, apply to federal laws the way it does provincial laws — which could (or could not) support Ottawa's argument that it has jurisdiction over pipeline decisions when those pipelines cross provincial borders.